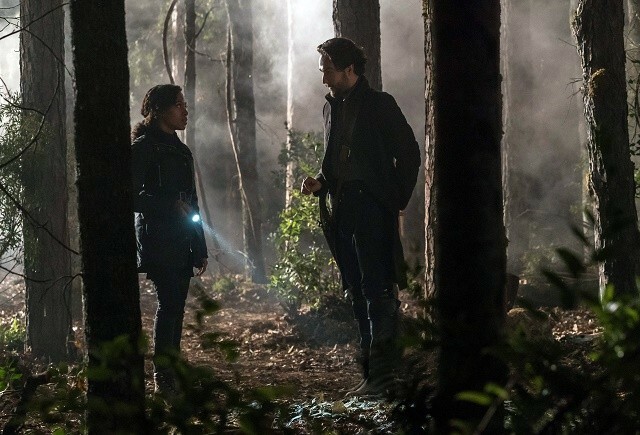 Ichabod and Abbie may have let Agent Foster become a part of their team, but could they be allowing another person join their demon-battling group in tonight’s episode of Sleepy Hollow? 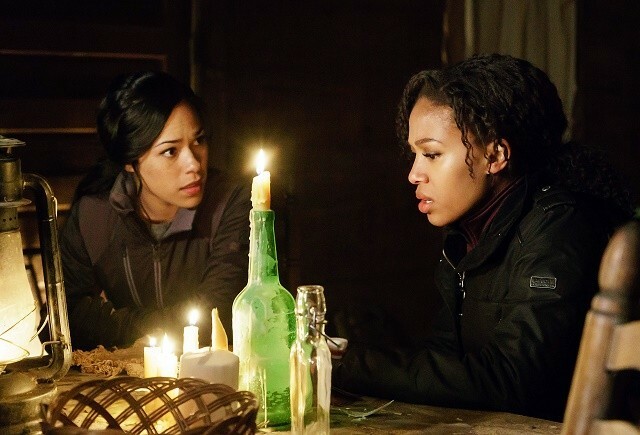 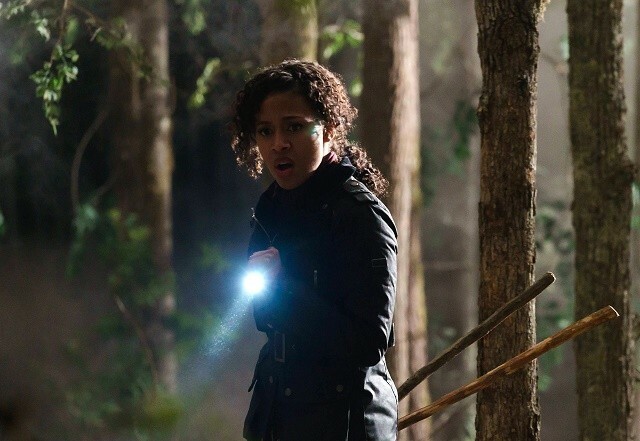 It seems that they may not have a choice, as both Abbie and Foster struggle to maintain their covers with Reynolds after a new monster arrives in the town during this week’s all-new hour, titled “Into the Woods.” As you can see from the photos below, there’s no real way to describe exactly what this thing they face is without diving into the supernatural. 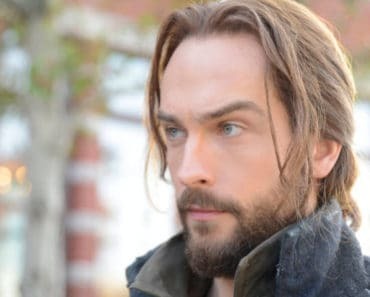 While Abbie and Foster battle whatever this beast is called, Ichabod will be on a mission of his own. 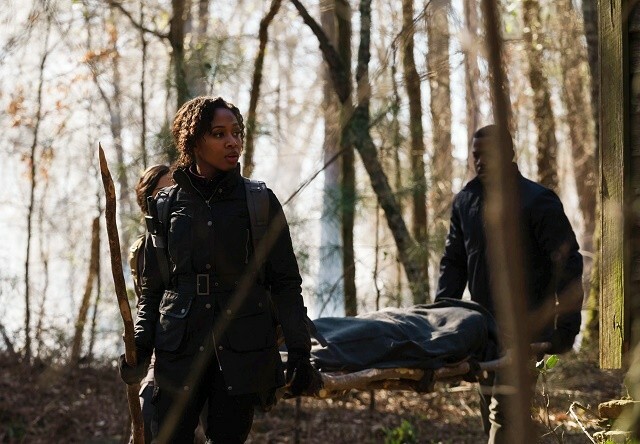 After learning about the symbol that Abbie has become obsessively drawn to in last week’s episode, Crane continues to investigate where it comes from and what type of evil it might represent. 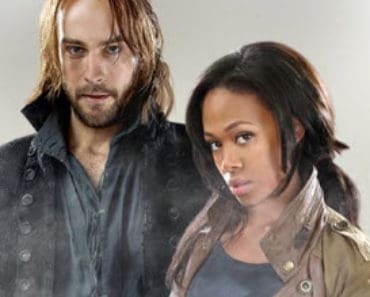 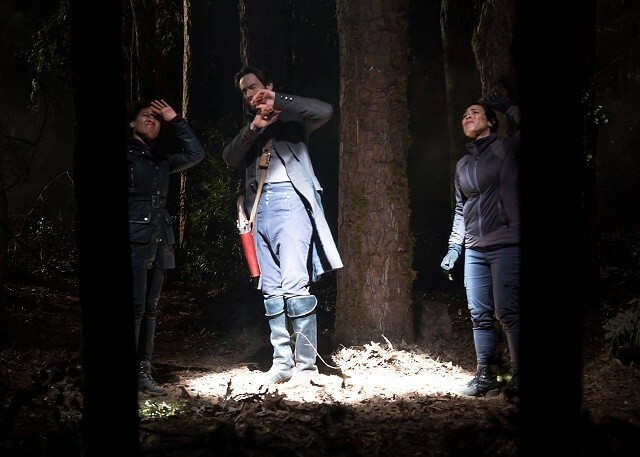 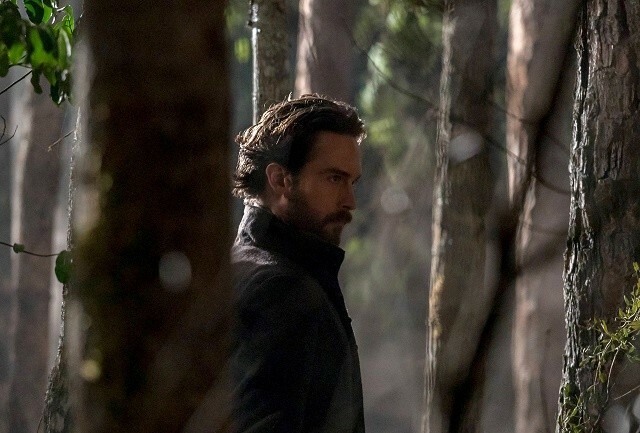 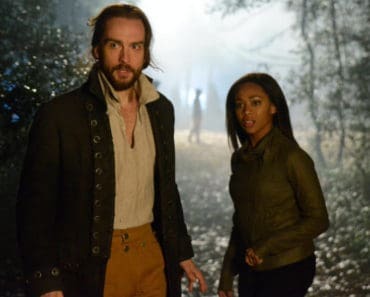 During his investigation, he makes a startling discovery, one that may prove to be very significant as Sleepy Hollow moves towards the end of its third (and hopefully not final) season. 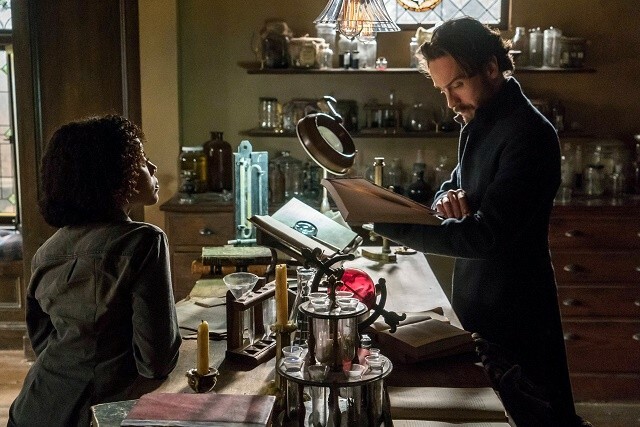 And even though Jenny and Joe aren’t in any of the images below, that doesn’t mean that the artifact-collecting couple is taking this week off. 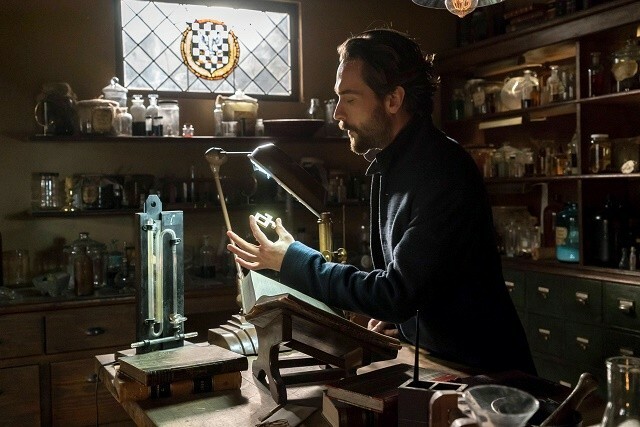 They’re still very much a part of tonight’s episode of Sleepy Hollow, as they become “in possession of something precious.” What exactly is this precious thing, and will it be any help to Abbie in her fight against this new monster? 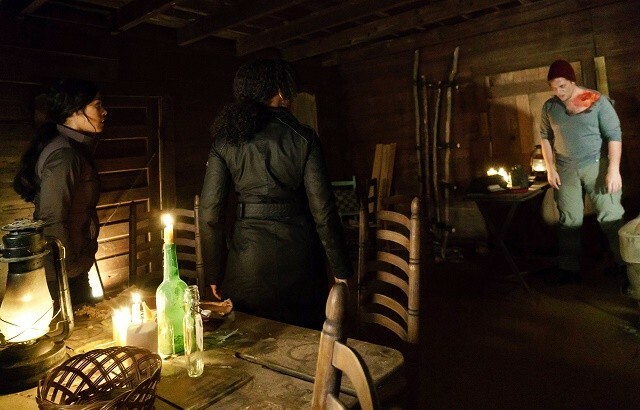 We’ll have to wait and see. 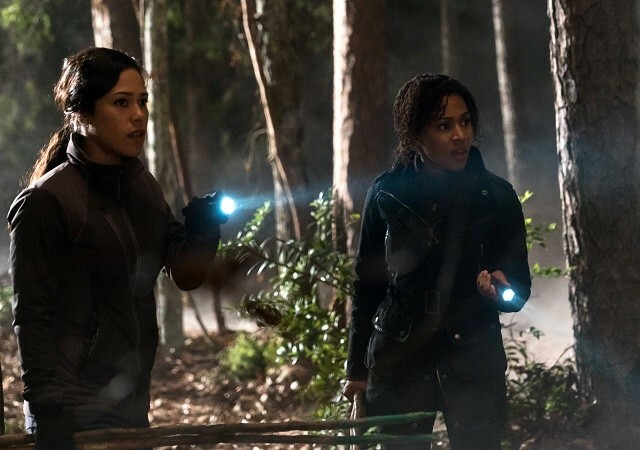 On an FBI team-building day, Abbie and Sophie come face-to-face with a monster that may finally blow their cover with Reynolds. 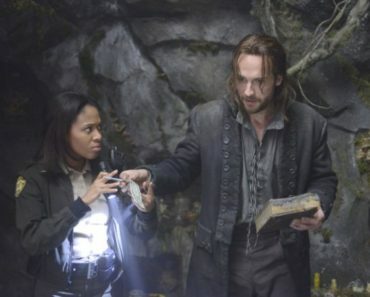 Meanwhile, Jenny and Joe find themselves in possession of something precious and Crane discovers that the symbol from the Catacombs may be more important than he realized. 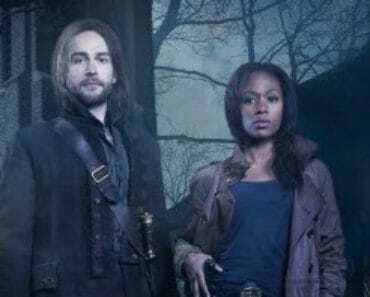 Sleepy Hollow airs Friday at 8 p.m. on FOX. 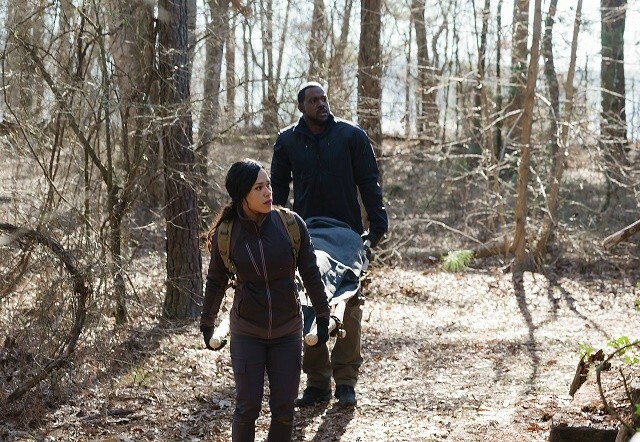 Check out the photos from “Into the Wild” below, and comment to let us know what you think will happen in this week’s all-new episode.